Home / Ace • Conventions • NEWS / SDCC! 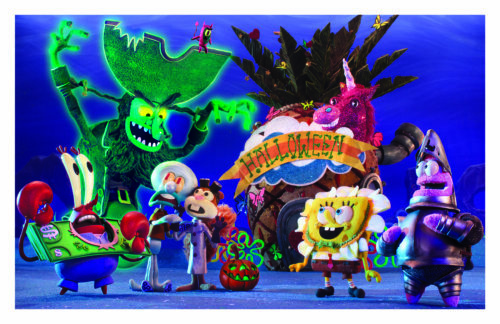 Nickelodeon First Look at Spongebob Halloween Stop-Motion Animation Special! SDCC! Nickelodeon First Look at Spongebob Halloween Stop-Motion Animation Special! Moderated by Claudia Spinelli (Executive in Charge, SpongeBob SquarePants, Nickelodeon), a look at the upcoming SpongeBob SquarePants stop-motion special was given from Nickelodeon’s Vincent Waller (co-executive producer), Marc Ceccarelli (co-executive producer), Mr. Lawrence (story editor, voice of Plankton) and Screen Novelties’ Chris Finnegan, Seamus Walsh and Mark Caballero. The panel’s sneak peeks included: The Legend of Boo-Kini Bottom trailer and clip, highlighting the upcoming stop-motion special, premiering October 2017, and a first look at Boo-Kini Bottom’s spookiest citizen, the Flying Dutchman in stop-motion. As previously announced, The Legend of Boo-Kini Bottom is being produced at Screen Novelties, a Los Angeles-based stop-motion animation production company, where miniature puppets and sets bring Bikini Bottom to life in three dimensions. 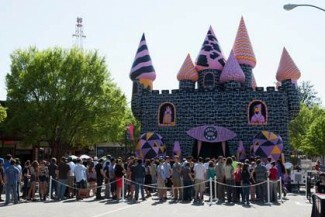 The production features 27 unique sets, across five stages, where 15 boxes of breakfast cereal were used to create texture on Bikini Bottom’s coral reefs; eight pounds of glitter were used to decorate SpongeBob’s Halloween pineapple house; hundreds of popsicle sticks created the planks of the rollercoaster track that Patrick and SpongeBob ride; and “black lights” were used to create a fluorescent glow across the puppets and sets. Marc Ceccarelli and Vincent Waller are the supervising producers on SpongeBob SquarePants. The special was written by Mr. Lawrence, with Brian Morante serving as the storyboard director. The special is being directed by Mark Caballero and Seamus Walsh, and produced by Chris Finnegan of Screen Novelties. 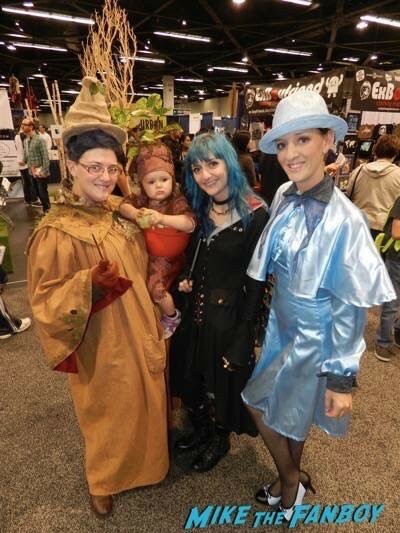 Wondercon Friday Cosplay! Andre The Giant! Spawn! Maleficent! Green Arrow! And More! The Paleyfest 2019 Lineup! Parks and Rec Reunion! Star Trek: Discovery! The Marvelous Mrs. Maisel! And More! San Diego Comic Con 2013! Two New Offsite Events With Adult Swim! Vikings! 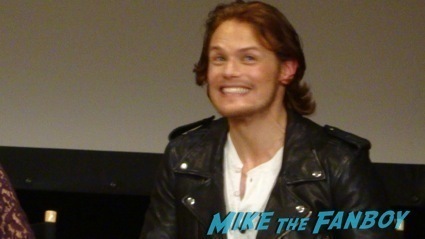 Cast Appearances! Signings! And More!